Pricing subject to change depending upon the airport pair chosen, and the weekday chosen. This is just one example. 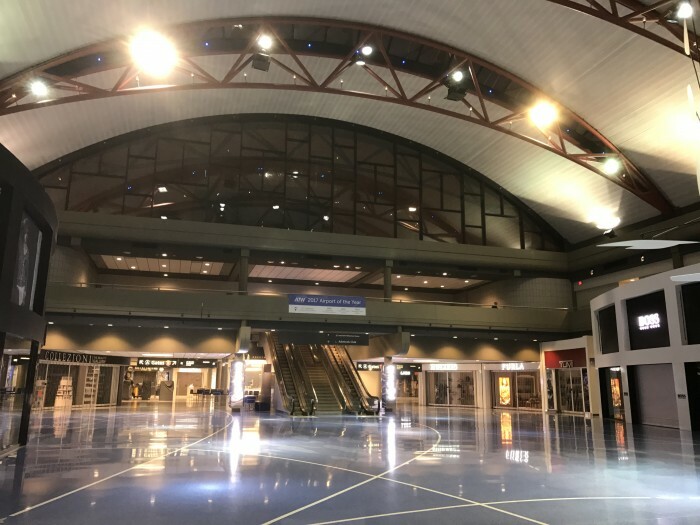 I recently had two days of last-minute back-to-back business commitments where the only viable way to get from the my hometown airport BDL (Hartford CT) to PIT (Pittsburgh PA) was a late afternoon, direct flight. 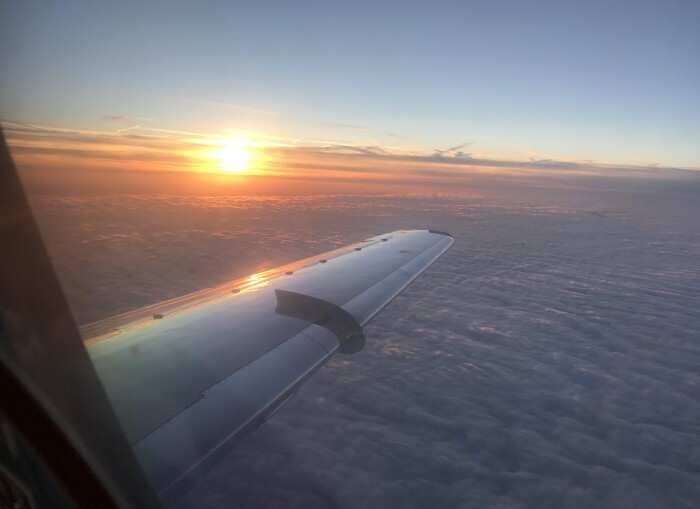 The only such flight I found was on OneJet, so the roughly 20% price uplift versus a much longer connecting flight on a big carrier was acceptable. The amount of difference varies. 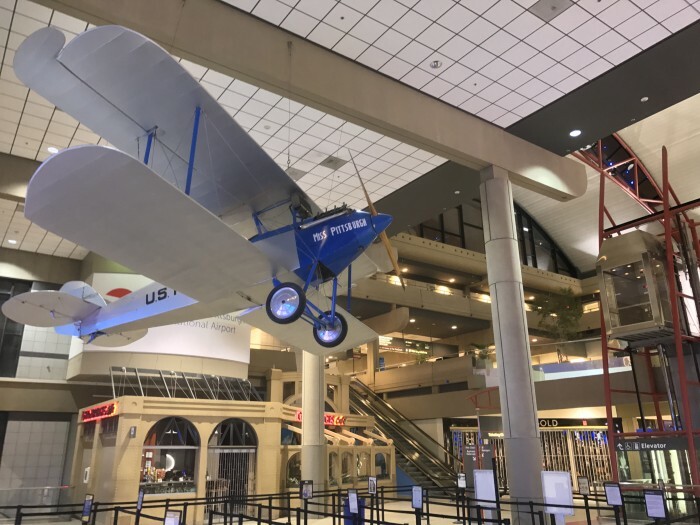 This article's focus is to share the fun of my experience with this new little carrier (not an airline) that's unlike any other. In a good way! 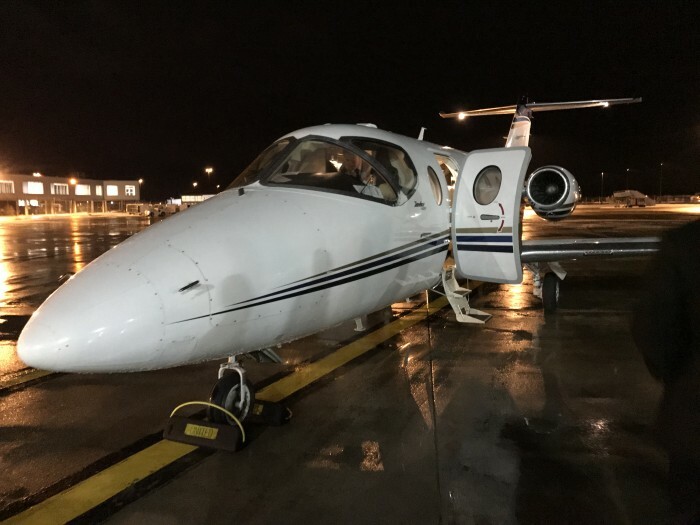 This isn't a charter plane with a single propeller, which can have insurance implications, and usually not allowed for corporate travel. 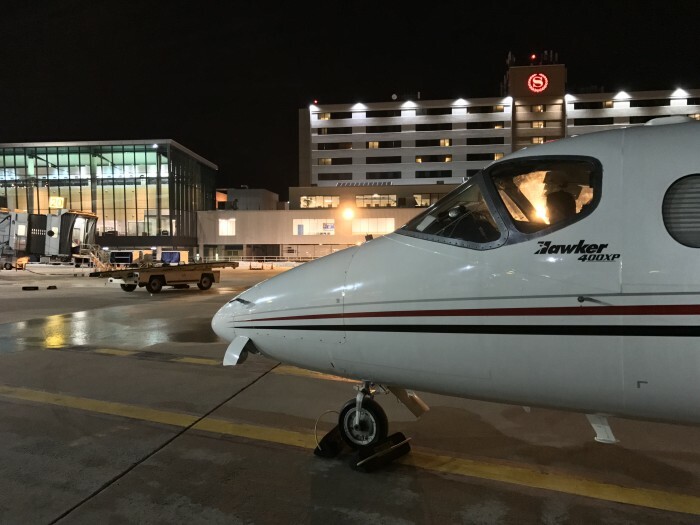 It's a regular jet, just smaller, with two engines, and a better experience overall. There is no baggage check-in stop needed if you're not carrying much. 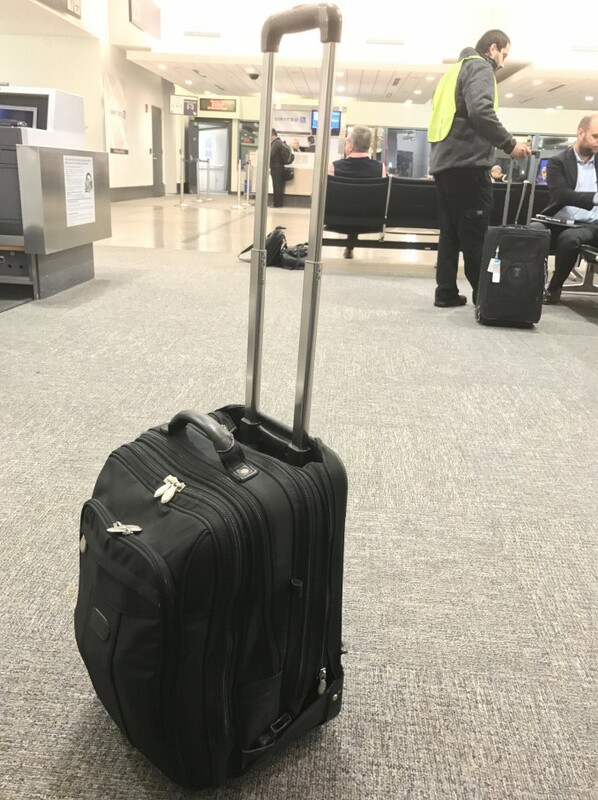 Just proceed with your luggage, heading right to the shorter First Class security line (learned this later), then onward to the gate. 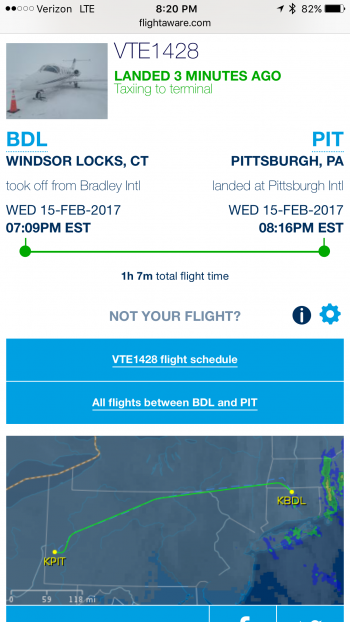 Feb 15 2017 was my very first experience with OneJet, flying from Hartford CT to Pittsburgh PA on Wednesday evening, February 15 2017, back again the next afternoon. Board faster. Later. With no hassle. 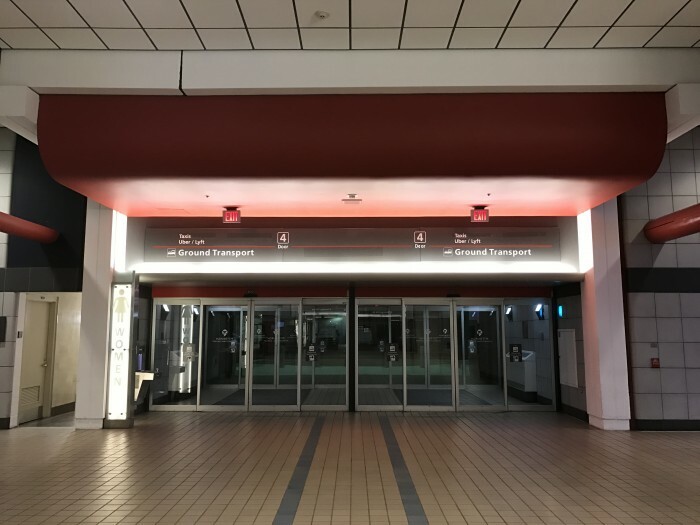 Boarding remains open until five minutes prior to departure, minimizing your wait time and maximizing your day's time. We climb aboard, unassigned seating. I of course take the first seat up front, right behind the cockpit. 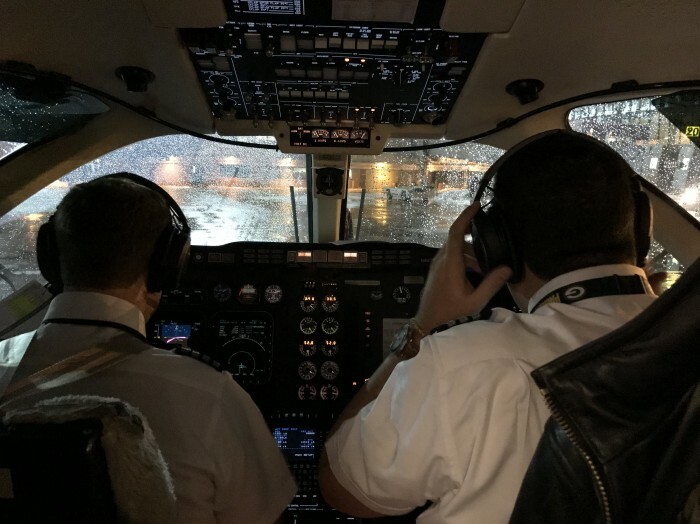 My brother had flown OneJet a few months earlier, and tipped me off to this airline with no doors to obstruct the view of the cockpit. So I knew where to sit. Even though I was the first to board, I wasn't in anybody's way. And the cockpit doors stayed open. Awesome! 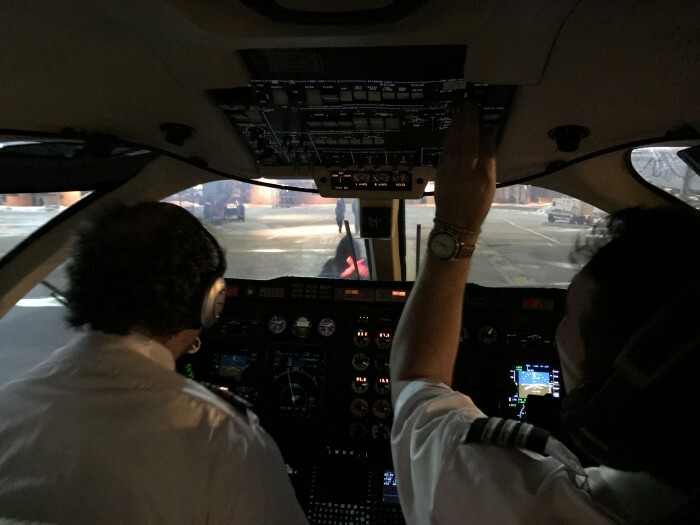 If you consider taking photos and videos like I did, you may want to ask the pilots first like I did, and be sure to disable your camera's flash. 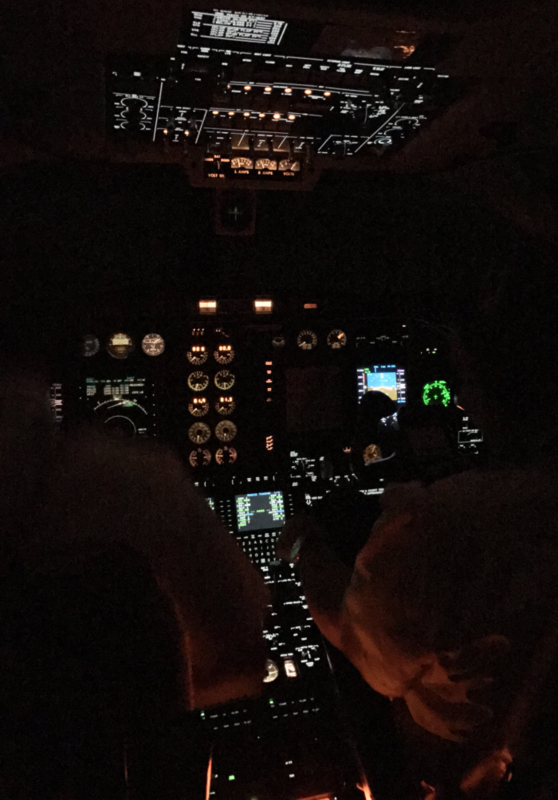 It takes us all of about 2 minutes to taxi to the runway, and off we go. 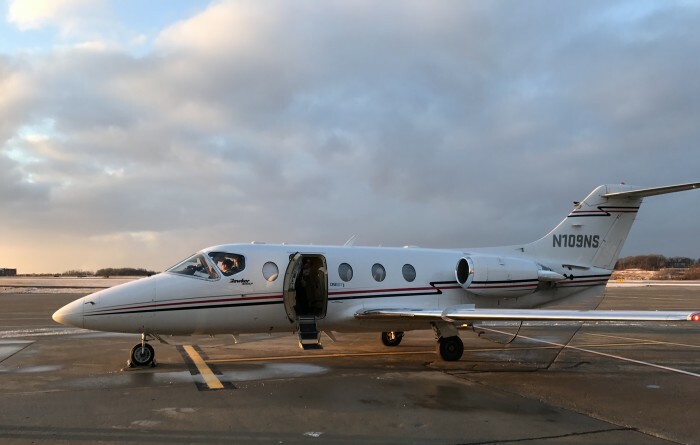 This little Hawker Beachjet 400XP really has some get up and go, seen in my take-off video below, as well as flight tracking details for BDL - PIT and PIT -> BDL. 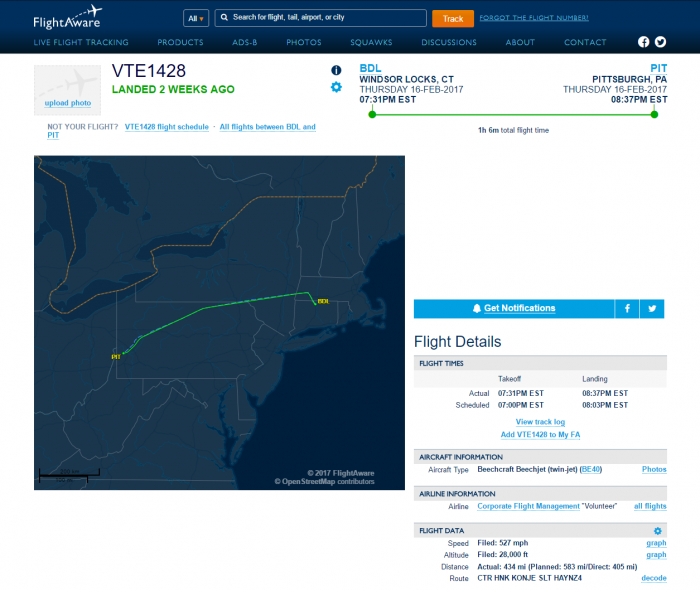 Turns out FlightAware had OneJet listed under another name, VTE, so I contacted their support, and they fixed it within hours.OneJet is now in most of the drop-down menus at FlightAware, for everybody to use. Nice! Soon we're cruising along at around 448 ground speed, according to my phone's GPS, which actually works in such a small plane, even in airplane mode. 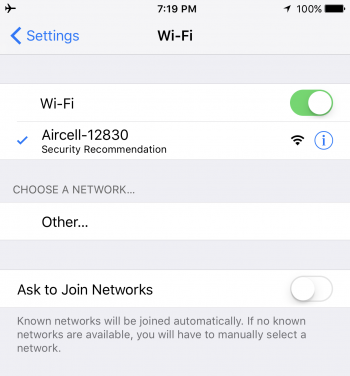 I decided to give the on-board free WiFi a try, worked well enough for the basics, although some proxy issues did bite me, as they might on any airline. 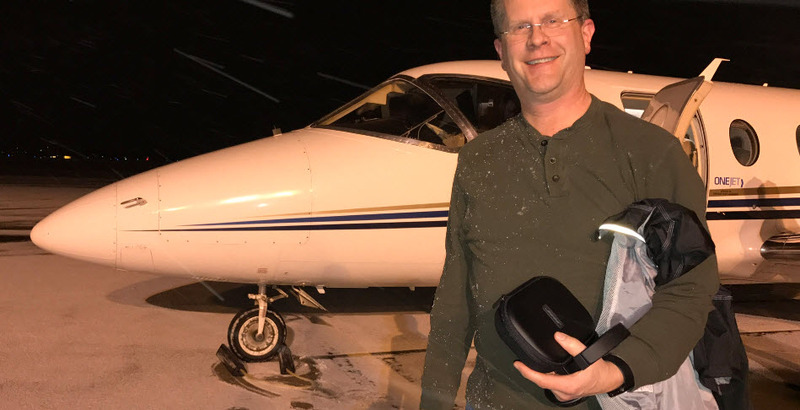 Author takes OneJet up on offer to take a picture, sparing travelers from terrible and dangerous selfies. ...the OneJet booking system doesn’t have a space for entering your middle name, and my middle name is on my passport and my known traveler ID for TSA pre-check. When I book with OneJet again, I will try entering both my first and middle name in the “first name” field in the booking system. I honest hope this airline continues to grow, as the experience showed me how many hours were saves for such city to city travel. 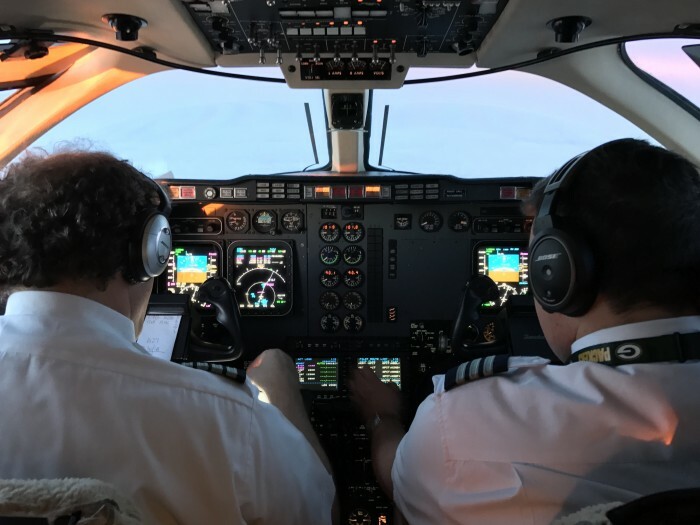 What I don't really know is how many gallons of fuel this kind of plane burns per passenger mile for my 2 flights, versus the 4 flights I would have taken on a much bigger commercial jet, had a had several more hours to burn. I also see that the big Travel search engines often don't include OneJet in the results, although Google Flights usually does, but not always. 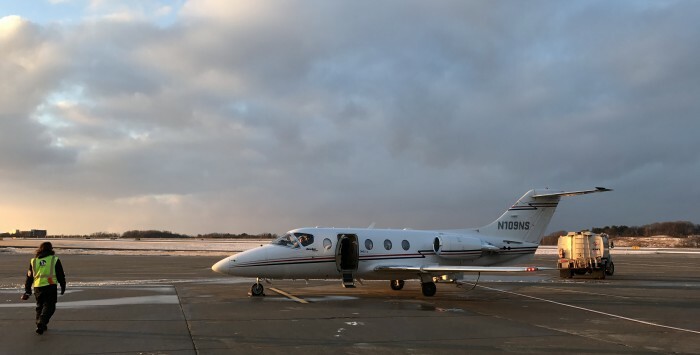 So for now, you're better off checking on flights and prices right at OneJet. These landing and take-off videos were with my iPhone 7 Plus in 1080p 60fps mode, with obviously effective image stabilization turned on. Footage turned out pretty well for hand-held, with the view out the windows staying rather steady, despite some minor turbulence. 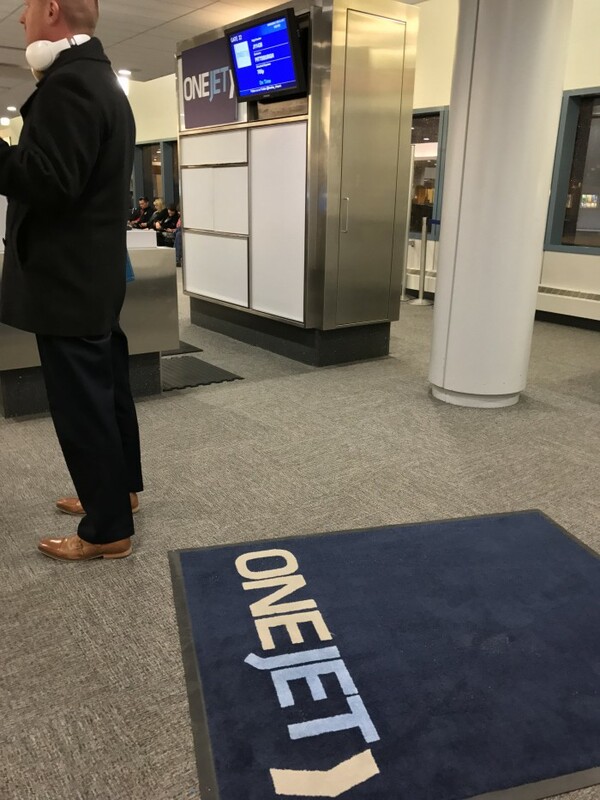 If nobody is at the gate when you arrive, later on, OneJet staff offer to take your luggage to their collection point near the exit door. I'm first to arrive, and first to line up. Above 10,000 feet, Wi-Fi comes on, and it's free. 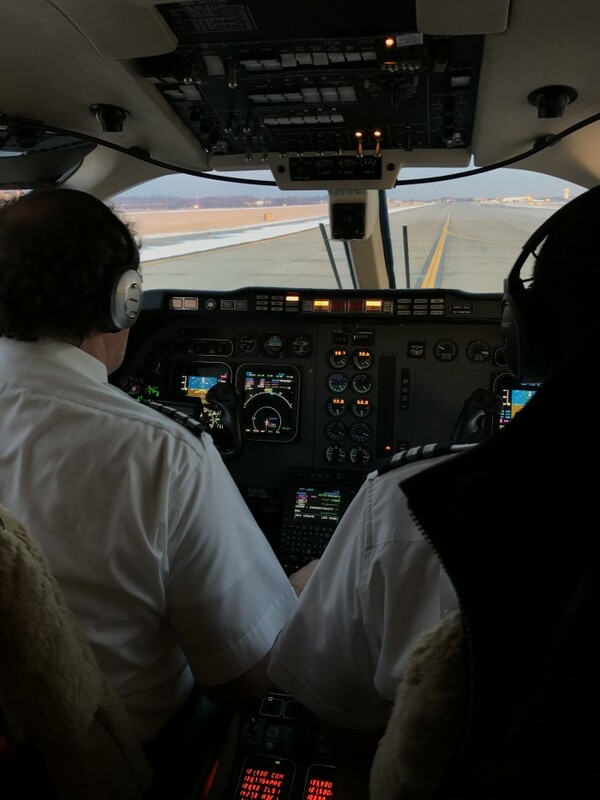 Preparing for landing at Pittsburgh. We've arrived, welcome to Pittsburgh, my first time. 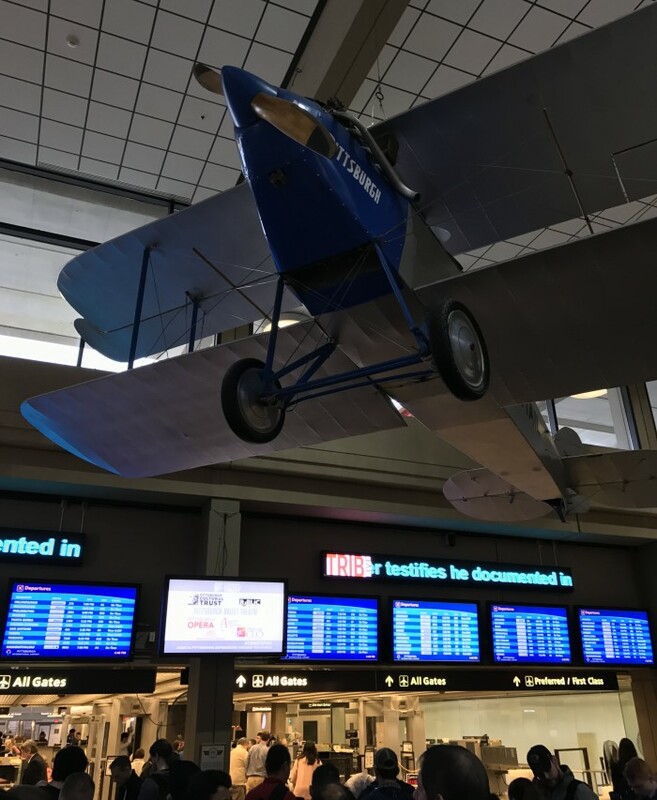 Pittsburgh's airport has clearly labeled where you stand to catch a ide. Nice! 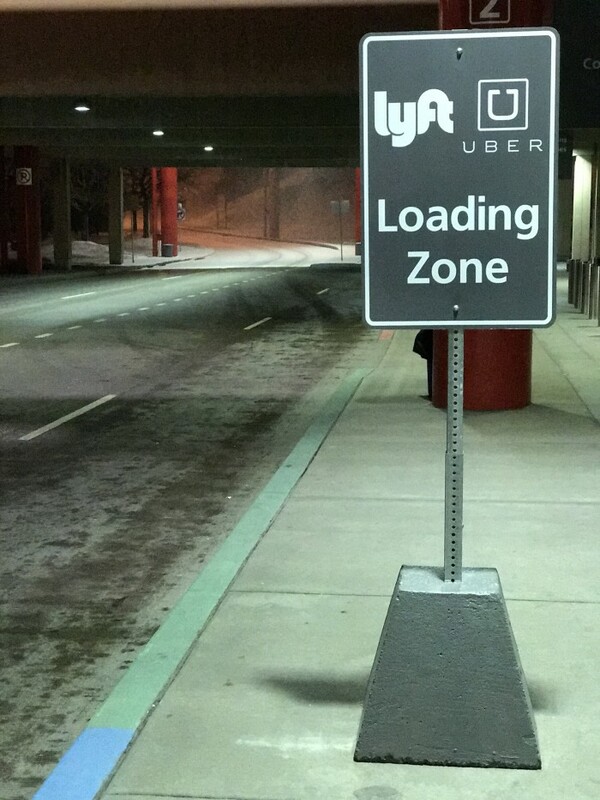 Could have something to do with Uber's big presence in this city. 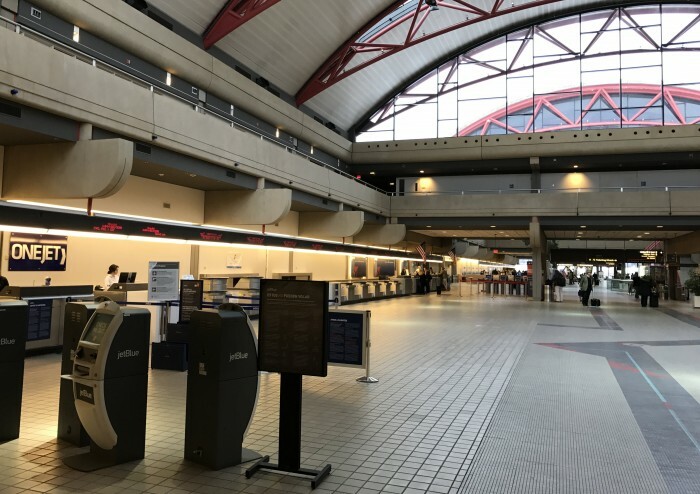 Apparently, Pittsburgh was award ATW's Airport of the Year. 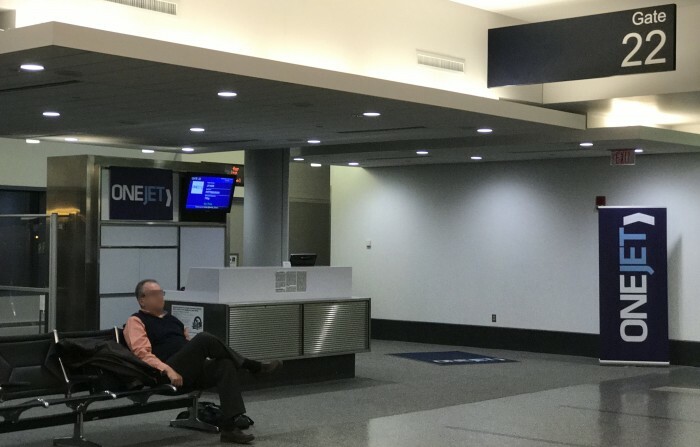 Time for my return flight, spotted OneJet check-in as I entered Pittsburgh's airport. OneJet check-in, didn't really need it, but asked anyway. 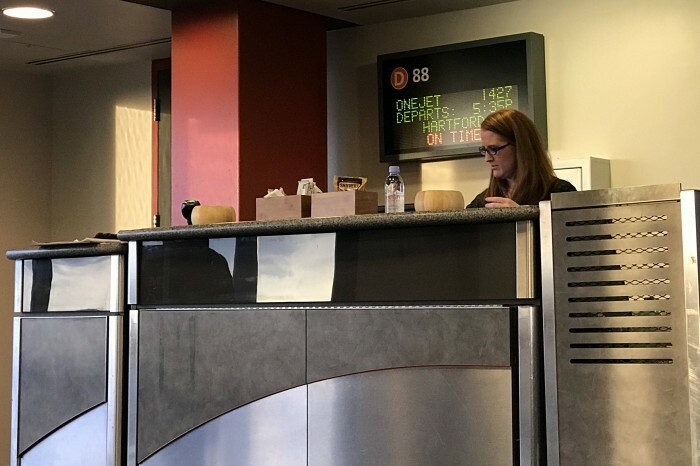 Since I already had my boarding pass in my email inbox, I proceeded to security. 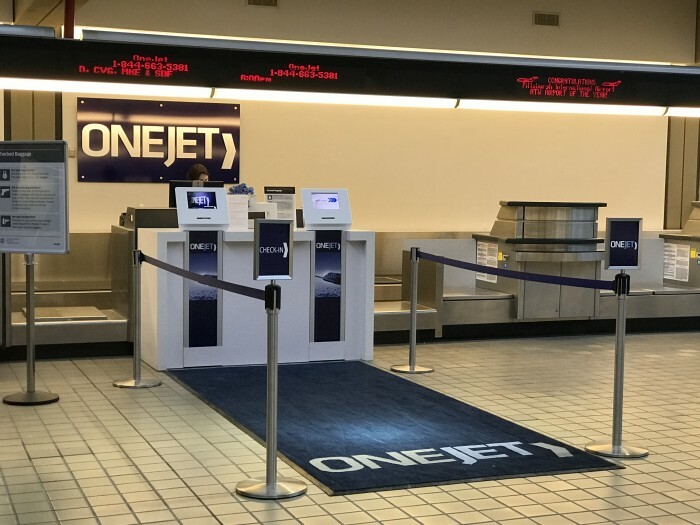 Had I known OneJet allows customers to use the TSA First Class line, I would have saved about 20 minutes of line time at TSA in Pittsburgh. OneJet prepping our plane for departure. Flying off into the sunset. Full stop at Bradley Airport. Plane prepped to stay overnight at BDL, ready for the next morning's flight back to Pittsburgh. 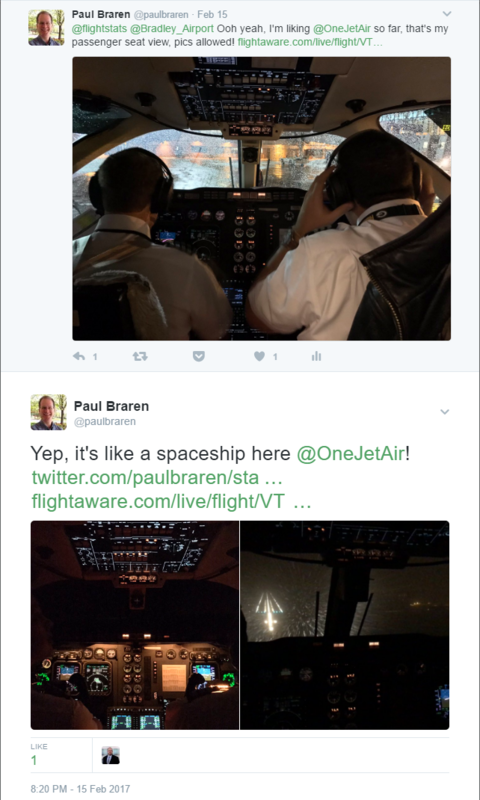 It would seem OneJet is doing alright, with many new routes, and an open dialogue with anybody who asks, even me! 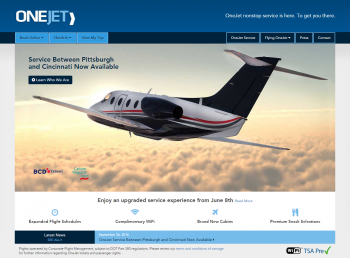 Photo courtesy of onejet.com homepage. 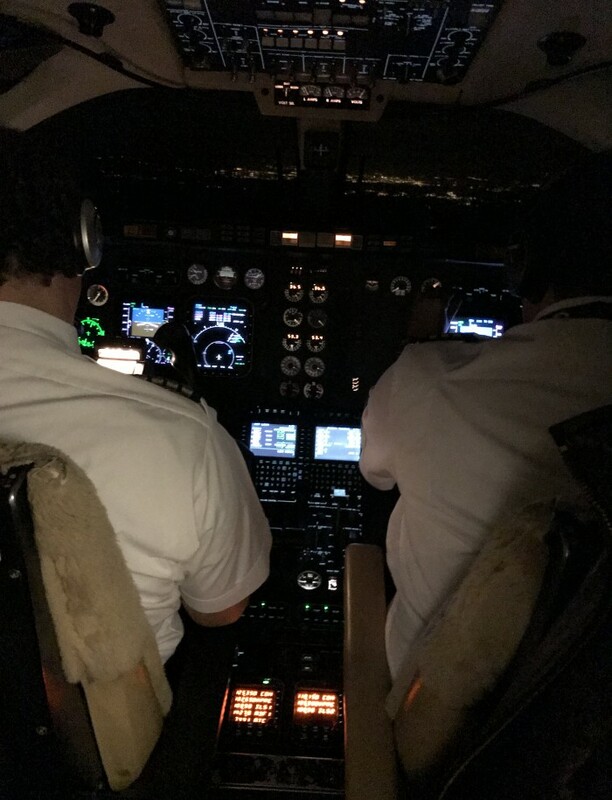 Took a sleek Cirrus SR22 plane out for a half hour spin over Connecticut today, awesome!